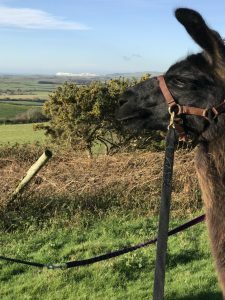 Lovely walk with the llamas today in the #IsleofWight sunshine. 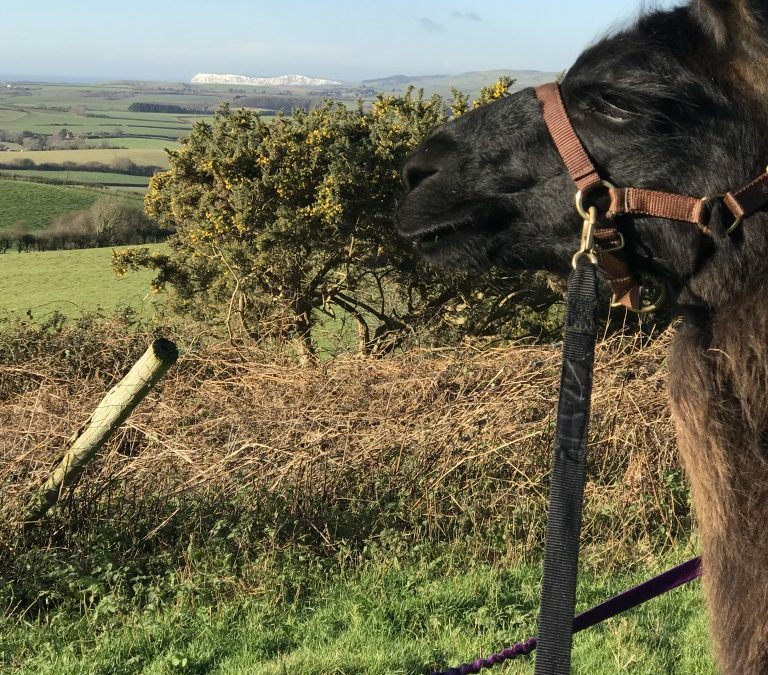 Great view from up on the downs with my llama looking across to Freshwater Bay. Alison’s daughter Nutmeg and Friend Daisy were also with us along with 3 people.